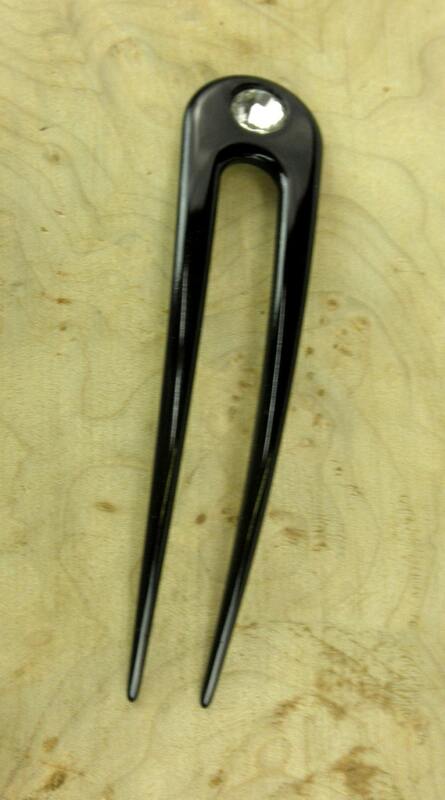 This sale is for One Black Colored Anodized Aluminum 4.5 inch Curved Hair Fork. Each has a Rhinestone added to them to add a little sparkle. 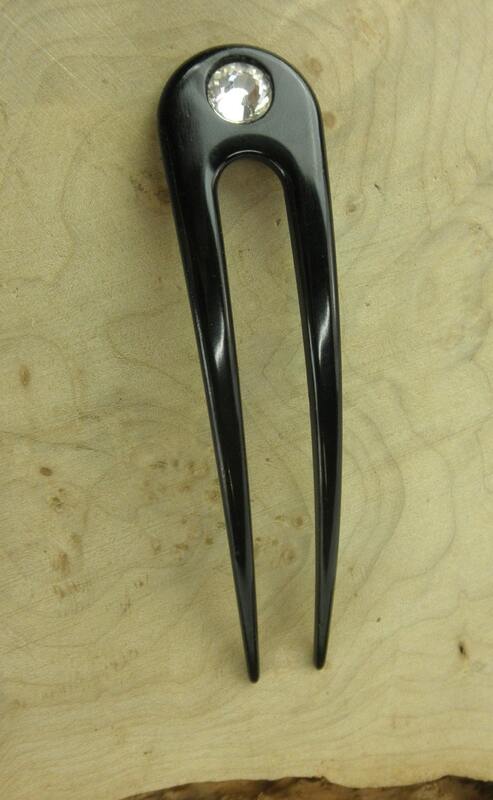 They are 4.5 inches long and a little over 1 inch wide and 1/8 of an inch thick.This Hair Fork is curved to fit the contour of your head. 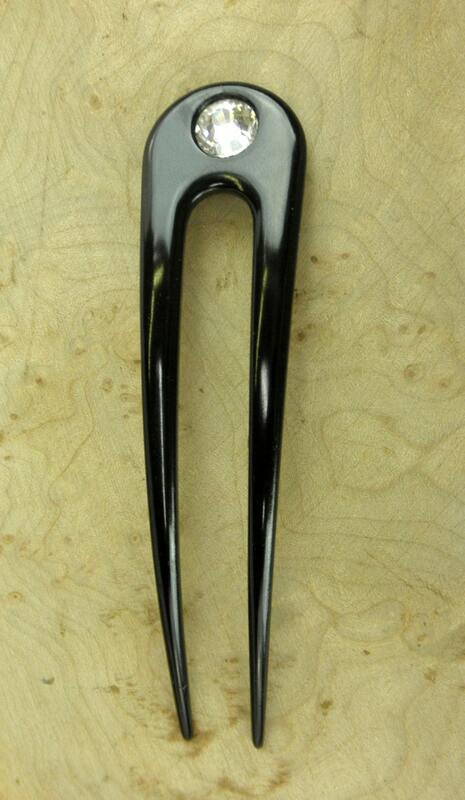 You get ONE Black Colored Anodized Aluminum 4.5 Inch Curved Hair Fork in this sale ! 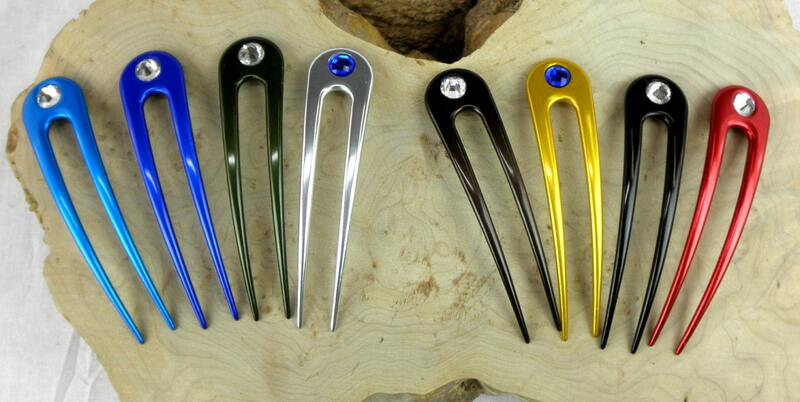 Love these hair forks! They are a good size and hold my hair well even though it's so fine. Would definitely recommend! Wonderful seller and wonderful hair fork! 3rd purchase and I'm sure I'll be back for more! This is awesome. 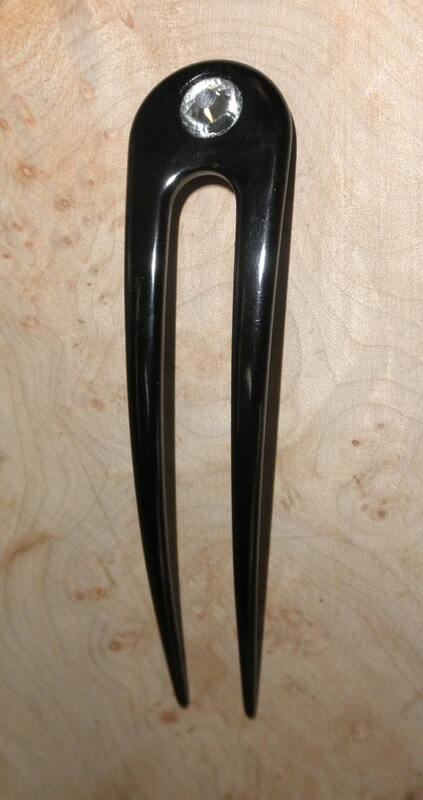 The curve of the fork is perfect to be comfortable with my head, and the fork itself is very sturdy which means it's fantastic at holding up my long hair. Easily slides through my thick, coily tresses (shoulder length, 4a/b), and I love the way the comb gently hugs my head. It offers security without discomfort. Thank you for the free fork!